The sale of UK-made bombs and missiles to Saudi Arabia has leapt by almost 500 percent, according to new data from Campaign Against Arms Trade (CAAT). British munitions have been used in the Saudi-led coalition war in Yemen, contributing to the humanitarian catastrophe there. Data collated by CAAT shows the UK government had made £4.7 billion from exporting arms and other controlled goods to Saudi since the start of the Yemen war in March 2015, compared to £6 billion worth in the period from January 2008 to April 2015 – a 457 percent increase. 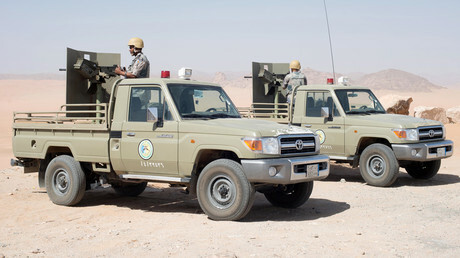 The news comes as Saudi-led coalition forces made the decision on Monday to close temporarily all entry points to Yemen, effectively sealing the country off from the rest of the world. The UK Government had been widely criticized for its continued assistance in the war on Yemen while simultaneously spending millions on humanitarian aid. In 2017, it sent £155 million to the war-torn country. British-made weapons have destroyed schools and other vital infrastructure, impeded aid access, and fomented a cholera epidemic. Some 10,000 people have died and 40,000 have been wounded since the outbreak of the conflict, and up to 70 percent of the population urgently needs emergency aid. 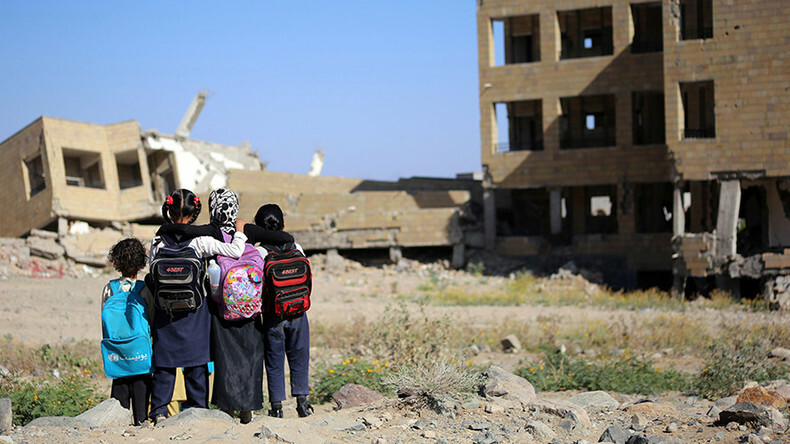 “The UK should stand tall in the world and export hope to Yemen’s children, not fear,” he said at the launch of the charity’s report ‘Next Generation Aid,’ which sets out how Britain’s aid budget can better help children. CAAT co-director Tom Barns told the Independent that the government has been accelerating sales of “equipment being used to commit atrocities in Yemen” as Saudi-led air strikes increase. “Over the course of this year the situation in Yemen is only getting worse,” he said. The Independent reports that products being sold include Brimstone, Storm Shadow, PGM 500 Hakim and Alarm missiles, as well as Raytheon’s Paveway IV bomb, which was found at the scene of an airstrike that destroyed crucial aid and food stores for Yemen’s starving people in January 2016. On Monday, the Saudi-led coalition forces ordered the temporary closure of all Yemeni land, air and sea ports. Humanitarian agencies have labeled the decision to close off access to the country, teetering on the brink of famine, as catastrophic. No supplies are getting into #Yemen. Save the Children Country Director Tamer Kirolos said the food and medical supplies coming through Yemen’s ports is what is keeping millions of children alive. “It’s already been tough enough to get help in – we’ve been forced to rely on routes that are long and slow for years. But if access shuts off entirely, even for a single week, then disaster will be the result,” Kirolos said.